Happy Saturday! It's time for Successful Saturday! I hope you forgive me for skipping last Saturday during the blog swap! 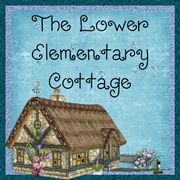 NOTE: You don't have to type as much to get to my blog! 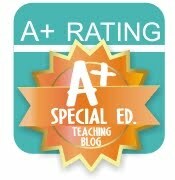 I dropped the .blogspot so all you need to do is go to www.teacherlisasclass.com to get to my page. This week I'm on spring break! So my successes are a little less school oriented than usual. My doggie is quite sick and won't make it much longer, so I'm pretty grateful for Successful Saturday to help me look at the positive. He's 13 and has lasted far longer than his breed normally does. Sorry for being a stranger, but he took priority this week. On to happy thoughts!! 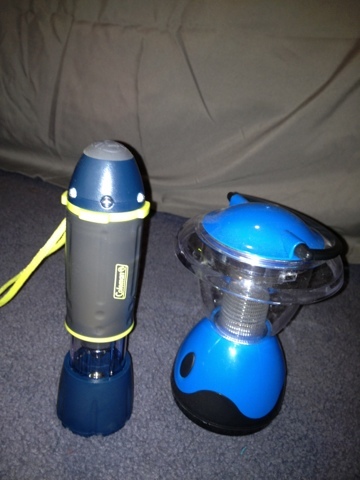 Finding my camping gear! I have an overnight trip with my student on Wednesday/Thursday. After a bit of digging I found my sleeping bag and squishy pad (learned my lesson after one trip without the pad sleeping on a rock!). I still need to go pick up glow sticks. I did find these two little goodies though! The one one the left actually blinks different colored lights and looks like a little space ship in the dark. BEST...PURCHASE...EVER!! This little guy saved me when a storm hit during our trip last year. This and bedtime stories were the only things that calmed them down when they were scared of the wind shaking the tent. I'm secretly hoping we get to use the cabin instead of the tent on the ranch this time! 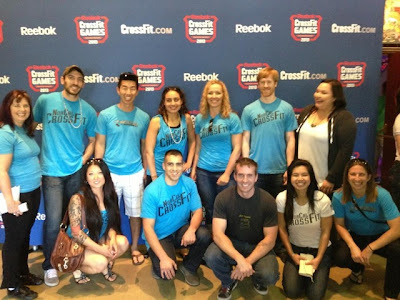 I finished the CrossFit Open! I know this means nothing to you, but it was HUGE for me. It's a competition with crazy workouts that I had no chance of winning, but it was big deal for me to even compete for the last 5 weeks of workouts. Yesterday I got my first chest-to-bar pull up EVER and managed to get 3 of them during the competition timed workout. This is crummy compared to what the real competitors can do, but it was a small miracle for me! Below is a pic of some of my CrossFit friends and I at the announcement for the last competition. I'm on the bottom right. Okay, now it's your turn to share your success stories of the week! I love this linky idea. 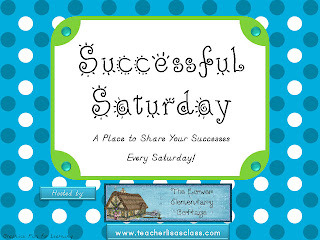 I have a Saturday Share but may have to write this on Friday or Sunday sometimes to link up! !